Our latest piece of Fine Taxidermy is this 'Snake Heraldry'. This item will soon be released on 1stdibs.com. Let us know what you think and do share. 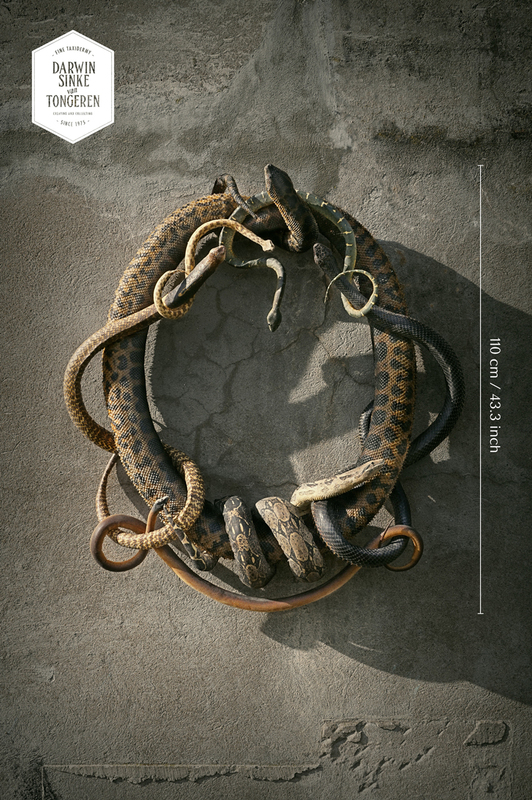 A heraldry ornament created with the 'Big 5' of dangerous snakes and two other beauties. A cobra, black mamba, rat snake, python, desert horned viper, emerald tree-boa on an anaconda as a base.